Golden Keith Hensley, age 80, of Canmer, KY, passed away Saturday, March 23, 2019, at T.J. Samson Community Hospital in Glasgow, KY. He was a farmer and of the Baptist faith. Golden is survived by one daughter, Tracey Stone (Greensburg, KY); four sons, Dairl Hensley (Lisa) of Canmer, KY; Sydney Hensley and Danny Hensley of Monroe, KY, and Donald Hensley of Cub Run, KY. He is also survived by four sisters, Mattie Jewell of Canmer, KY, Vivian Heath (Billy) of Hodgenville, KY, Jane Yanders of Illinois, and Frances Zimmerman of Decatur, IL; and two brothers, Nolan Hensley (Orene) and Landis Hensley, Jr. (Willis) of Canmer, KY. Several grandchildren and great grandchildren also survive along with a host of other relatives. Golden was preceded in death by his parents, Landis Hensley and Gladys Smith Hensley; two brothers, Jake and Bill Hensley; and one half-brother, Norlen Hensley. 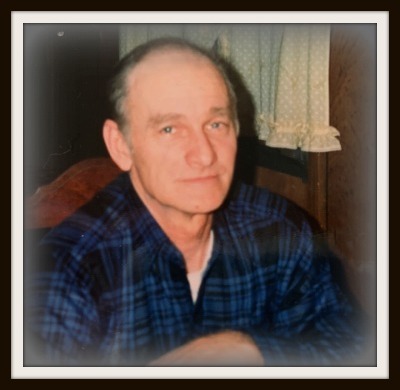 The family will receive friends from 2:00 to 8:00 p.m. CT, Monday, March 25, 2019, and from 9:00 to 11:00 a.m. CT on Tuesday, March 26, 2019, at Brooks Funeral Home, Munfordville. The funeral service will be Tuesday at 11:00 a.m. CT at Brooks Funeral Home with Rev. Darrell Hensley and Rev. Noah Hensley officiating. Interment will follow at Conyers Cemetery in Canmer, KY.
Condolences may also be expressed online at www.brooksfuneralhomeky.com.